The Trump Agenda is now unmistakeable. It has six clear components: 1) to smash labor unions and worker protections; 2) to cut taxes and lift environmental regulations on corporations; 3) to privatize huge parts of the public sector, from public education to Medicare, water utilities, bridges and infrastructure, and hand it all to Wall Street hedge fund operators to make profits; 4) to carry out mass deportations of undocumented immigrants; 5) to unleash a massive attack on women’s rights; and 6) to rapidly expand the U.S. military budget and feed the militaryindustrial private contractors. The Trump Agenda is not just about Trump. A whole spectrum of right-wing, ruling-class interests see in the Trump administration the means to carry out their the long-held dreams. The Trump Agenda is to return the United States to the most unrestrained form of capitalist rule — back to an era when the rich could do whatever they want, with nothing for the people, no protections for oppressed sectors and no regard for the environment. The Republican establishment in Congress has a whole stack of laws waiting for Trump’s signature. Wall Street is joyous, after recovering from the momentary shock of Trump’s win. The idea that Trump was “all talk,” and would become more moderate once elected, has been disproven. Millions of people realize that the only option is to fight back, to resist. The real question is how. The Democratic Party has played a double game since Trump was elected. This only empowered Trump and spread confusion among those who wanted to fight him. 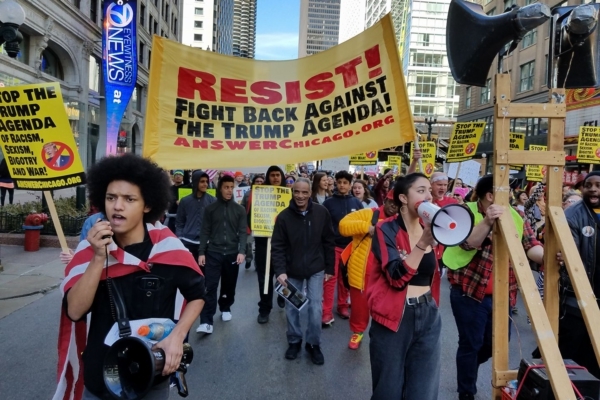 Despite the Democrats’ campaign rhetoric against Trump’s bigotry, once Trump won they did not call for mass resistance to stop his extreme agenda. Instead they tried to pacify the angry masses of people. They reached out a hand of friendship to Trump while condemning the protests from below. Trump gladly shook Obama’s hand and smiled in front of the cameras, while continuing his plans to steamroll over poor and working people. Then the Democrats switched tactics, using the last two months to wage an unrelenting media war against alleged Russian hacking as the reason for Trump’s win. They simply omit the fact that Clinton’s war-mongering, ties with Wall Street, and constant flip-flopping on everything from mass incarceration to immigration to the minimum wage and marriage equality, made her fundamentally untrustworthy to large numbers of Democratic and independent voters. Clinton’s inability to inspire working-class voters and the Democratic base is the reason that she lost to a widely despised showman from reality television. The corporate media has rewritten the history of the 2016 election already. It was U.S. stations and newspapers, not Russia’s, that gave Trump around-the-clock airtime to the American people, broadcasting his every move, word and tweet. It was the Clinton campaign and DNC that chose to “elevate” Trump as the ideal Republican to oppose, as shown in the WikiLeaks documents. They declared this strategy before Trump even formally announced his run in 2015. The campaign against Russia is simply absurd — based on unproven accusations and overhyped incidents — but it is also very dangerous, reminiscent of McCarthyite Cold War rhetoric. The Democrats are using the same sort of extreme scapegoating as the Republicans, but with a different target, calling anyone who wants to reduce tensions with Russia a stooge of Vladimir Putin. It is true that many people in Russia are glad that Trump won, but that is primarily because Clinton represented the hard line against Russia. They feared that Clinton would provoke sharp confrontation on their borders, as with Ukraine, take a hard line in Syria, and potentially attempt regime change inside of Russia itself. 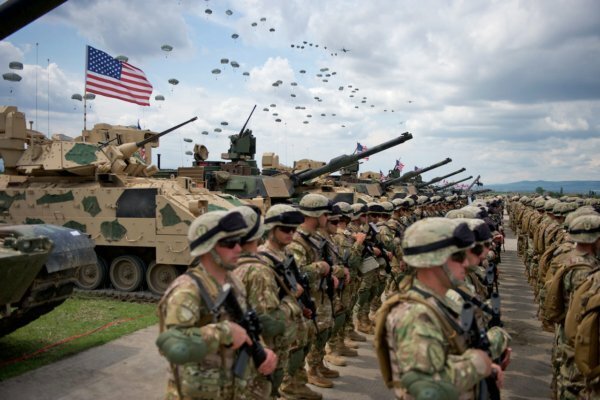 NATO has carried out massive military exercises on its borders. Just imagine if the Russian government were doing this on U.S. borders. This anti-Russia campaign too is disorienting and distracting for the masses of people who oppose Trump and have 1,000 good reasons to fight his agenda. Blaming Russia for everything is not going to defend the public sector, create jobs, end police violence, solve the health care and housing crises, bring clean water to Flint, stop the charter school offensive, or protect immigrant families. The liberal Democratic organization MoveOn used this frenzy primarily as a fundraising tool. They initiated a major campaign, with television ads, to call on the Electoral College to reject Donald Trump because of his alleged Russia ties, calling his election illegitimate. This too misdirected people’s energy, time and funds — steering people away from preparation for the coming struggles against Trump, and towards an illusory electoral maneuver. This “progressive” organization was actually championing the integrity of CIA reports about Russia. The CIA’s long record of deception, espionage, hacking, repression, coups, and assassinations was washed away in an instant. Instead of rejecting the Electoral College as an elite, undemocratic institution founded to protect slavery that should be abolished, MoveOn affirmed the legitimacy of the Electoral College and called on electors to contradict their states’ results. Was MoveOn really trying to provoke a crisis of legitimacy that would have likely led to civil war? No, they were not prepared for that. It was just a quick sideshow to raise money, and it was completely worthless from the point of view of building the struggle. Within the broad movement against Trump, two roads have quickly emerged. One road is that of grassroots mobilization in a fight-back movement against Trump and his cabinet of oligarchs, bigots and militarists. This is the path blazed by the historic labor movement that fought and died for the eight-hour workday, the Black freedom movement that fought Jim Crow and policy brutality, the women’s and LGBTQ movements that reshaped society through determined struggle. This road of struggle against Trump begins with a sober assessment of how bad the system is, whether led by Republicans or Democrats. Under the Obama administration, Black people were already dying at the hands of the police every 28 hours; the NSA was already spying on every person; Standing Rock water protectors were already being shot with water cannons and military grade weaponry; illegal wars were already being waged; economic suffering was already widespread; banks were already being bailed out; mass deportations were already a reality. The road of struggle can unite the mass movements of the past few years. 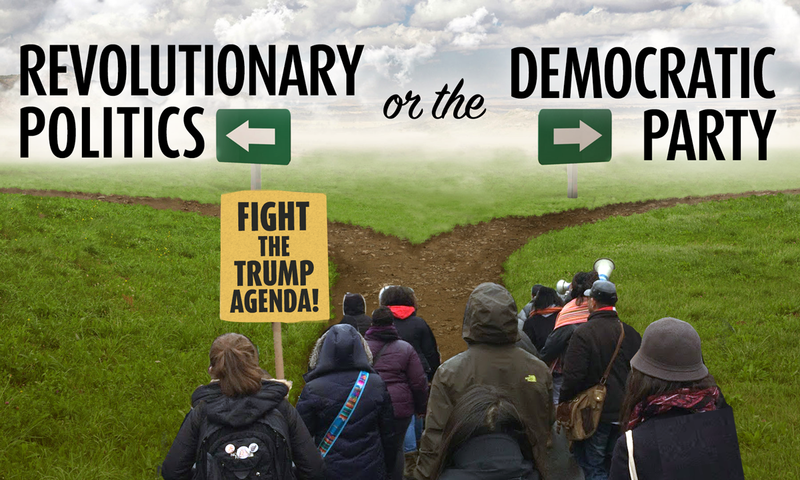 That is the road from which independent socialist politics can emerge as the alternative to the now widely hated two-party system. The many crises of capitalism have shown the hunger for revolutionary change in this country, and that sentiment has not gone away because of the election of Donald Trump. If anything, it has grown stronger. The second road against Trump is very different. It may appear to run parallel, but is really a loop — it is a road back to the Democratic Party. That is to channel and manage the discontent into safe channels of electoral politics — either on the local, state or federal level in coming elections, to build up a new generation of aspiring Democratic politicians and well-paid NGO directors as the movement’s leaders, and to use popular mobilization as a mere photo opportunity to support Democrats in Congress. This line of thinking is that the Democratic politicians will be the real front-line of resistance to Trump, our real hope — our role is just to give them confidence. 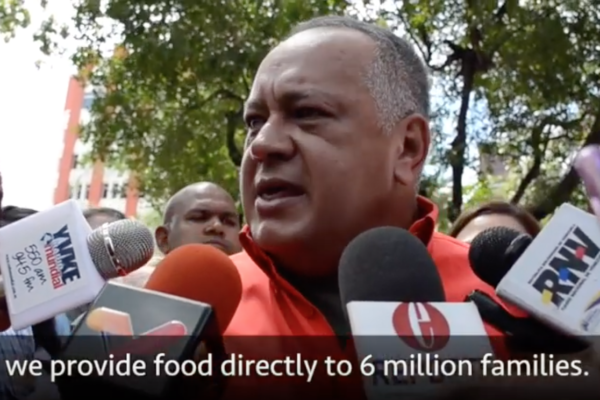 This road obscures the people’s real power to destabilize the capitalist system — to shut everything down, to stop business as usual, to block repressive and reactionary measures. History shows that the Democratic Party will in fact capitulate, accommodate, compromise and trade away the people’s hard-fought gains. It is what they have done in one Republican administration after another. The PSL is playing a big role in mobilizing for the Mass Protest at Trump’s Inauguration, preparing to “Inaugurate the Resistance” with a mass rally along the parade route itself. For us, the action must not be seen as a one-day event, but just Day One of a new era of mass movement building. We are on the road of mass struggle and independent politics. The PSL believes it is critical that the movement be at the spaces that Trump and the federal government want to block us from: the inauguration route on inauguration day. We believe it is important to explicitly reject Trump’s program and put forward a specific alternative social and economic program that can meet the needs of all poor and working people. It is time to stand up, come together and get organized in communities across the country. That is the path of rejection, resistance, refusal — to not let Trump’s capitalist government gut the people’s gains. There can be no collaboration with Trump and no false hopes in legalistic maneuvers to stop him. Struggle is the only way forward.